About two weeks ago my husband and I sat down for a little Saturday evening Netflix watching. We decided to watch a documentary called Bully. I had heard about it and was very interested. My curiosity did not prepare me to be in tears within 2 minutes of the film. Watching this show was a heartbreaking and eye-opening look into the lives of children who are bullied. Some of the children bullied in the film even went as far as to take their own lives because of the pain they had to endure each day. I am choked up just thinking about it. It really impacted me! 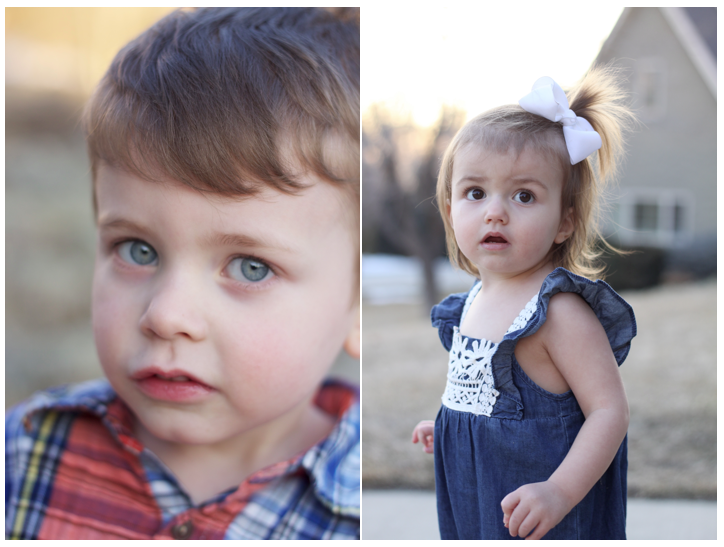 I couldn't help but think of my own little nuggets, and what the future holds for them. The last thing I would want is for my innocent, confident, free-spirited children is to be broken down by another. As a new school year approaches, and after talking with my sister and mother, I thought it was appropriate to do a little research and prepare my children for the bullies that may come their way, and also to be sure to teach my children the importance of being a kind person and a good friend to others. I found this little guide online... wish i could find the source... But it outlines what a bully is. I think it is a perfect way to help a child see if they are being bullied or even maybe being a bully themselves. As parents we need to be aware!!! 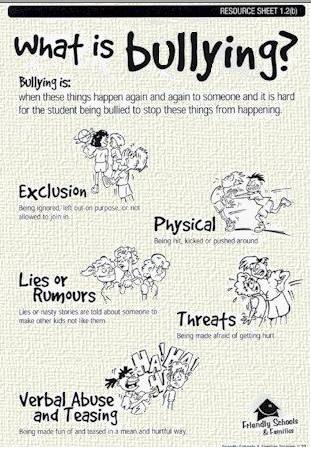 We need to know our children and ask the right questions, and look for the signs that bullying might be taking place. When teaching my young children about bullies and being kind, I use the quiet moments I have with my children when we read together. This is a time when my children feel safe and when we talk and learn together. Simply bringing up the topic of bullying with a children's book and having a discussion about it seems fitting, and is a natural and easy way to bring up such an important topic. 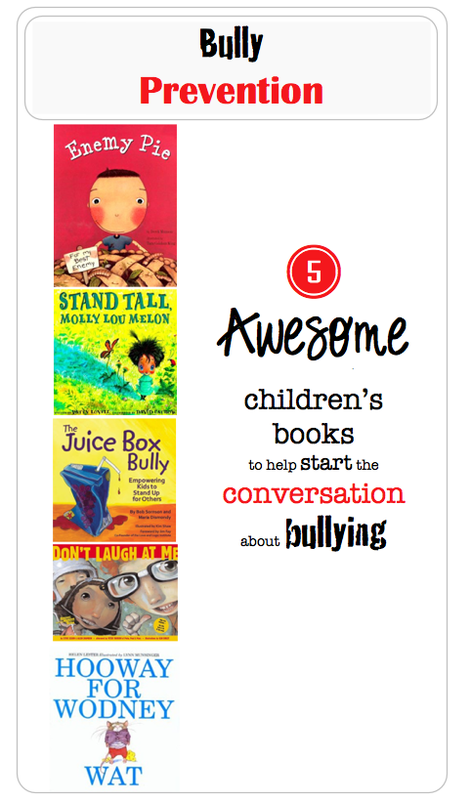 Here are some of my favorite anti-bullying children's books. They are perfect conversation starters for young children. Good luck to all those mommies, daddies and kiddos as the back to school season is approaches. I pray for children everywhere to be able to stand up for themselves and others, and that kindness and friendship will trump bullying. 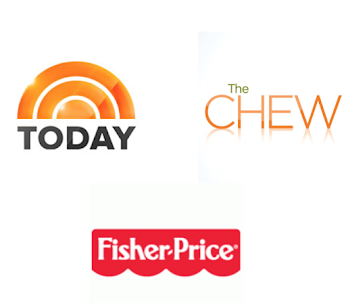 Each book below takes you straight to Amazon for easy purchase. Thanks so much for this post! Aiden starts kindergarten this fall and I have been wanting to talk to him about bullies but didn't know where to start. I'll definitely be using these ideas! My eldest is starting school next year and I've been really anxious about bullying because I was bullied as a child as well. I think starting a conversation about it through books is a brilliant idea! Thank you! Thanks! I hope the books are helpful! Good luck with your little one!! This is a wonderful help. 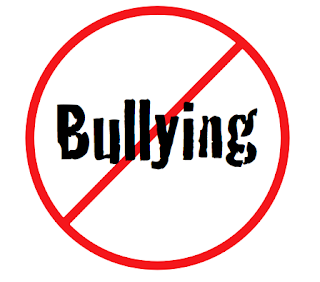 I think there is not enough awareness yet of the problems children and teenagers face regarding bullying. I love that you talk about it, have researched it, and give us parents some resources to start teaching our children about this topic. Bullying is the worst.. This is a fantastic post, words can't describe how much MORE I love your blog after reading this. Thanks! This is where I found the Friendly Schools and Families program.